This soup is a winner. 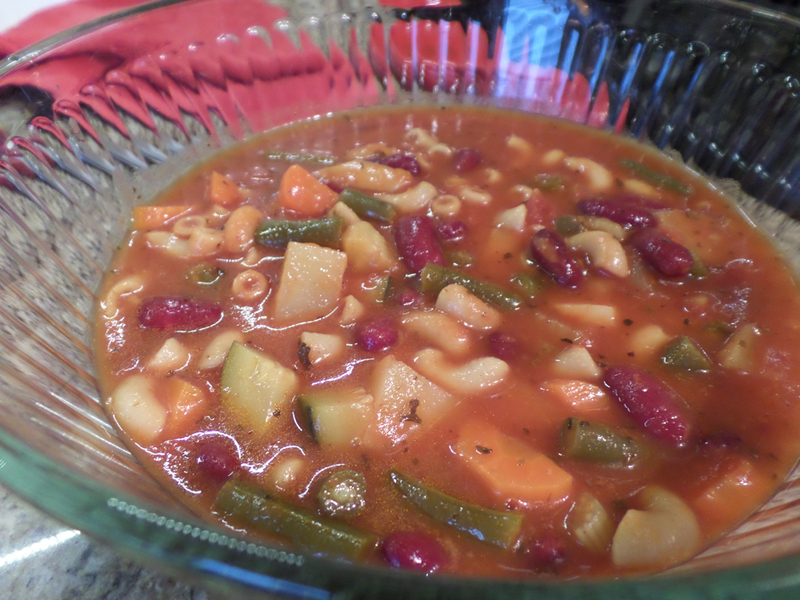 I have ALWAYS wanted to make minestrone soup and usually the 20-30 ingredient list scared me off. Finally, I found a recipe that looked similar to an Italian restaurant we recently went to. It’s perfect. I just suggest cooking it longer than the recipe states to meld the flavors more and make the veggies more tender. If you use veg. stock instead of chicken stock and omit the cheese, it’s vegan. As usual, I omitted the onion and garlic and opted for powder. For ease I used the crushed tomato can. Enjoy! 4 oz. rotelle or other tubular pasta (I used 2 oz. uncooked pasta and boiled it separately). To make this IC safe, definitely omit the tomatoes and increase chicken broth to 6-7 cups. In a large heavy pot, heat olive oil over low heat 1 minute. Add onions and garlic, saute 5 mins or until soft. Increase heat to medium and add carrots, celery, potato, zucchini, basil, and oregano. Cook, uncovered, 5 mins, stirring occasionally. Add tomatoes, chicken broth, and bay leaves. Bring to a boil. Then reduce heat, simmer uncovered, 20 minutes. Add green beans, cover and simmer 10 mins. or until beans are tender but still crisp. Remove bay leaves. Drain and add pasta to soup along with beans of your choice. Cook until heated through, about 3-5 minutes. Simmer more if potatoes are not tender. Ladle into bowls and sprinkle with cheese and parsley. These were fantastic! That is all there is to say. I found this on Allrecipes.com. 🙂 They are savory, perfectly cooked pot pies! 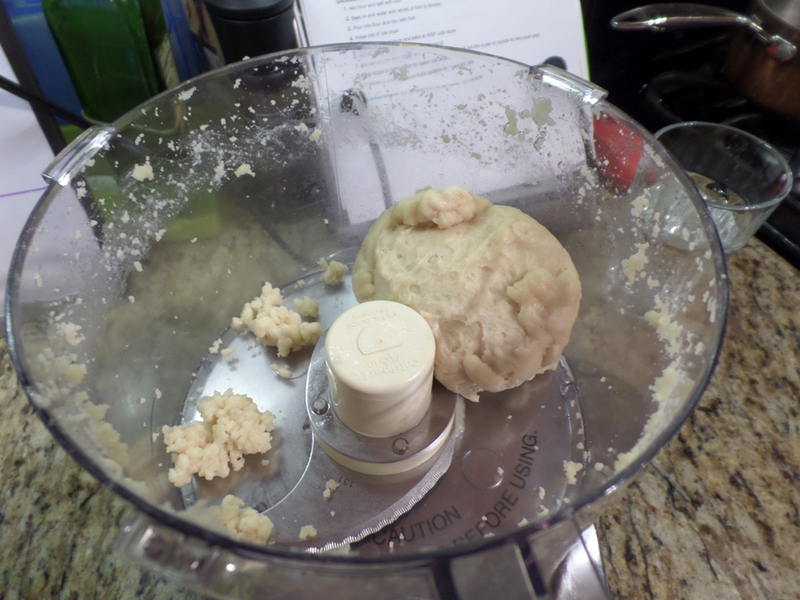 You can use pre-made pie dough or make your own. I made my own and it was great. I am usually not a fan of boiling, but it was flavorful and very tender. A+! I used five ramekins (technically souffle dishes) and it was a perfect size for us. I went light on the butter for the roux and it worked out nicely. 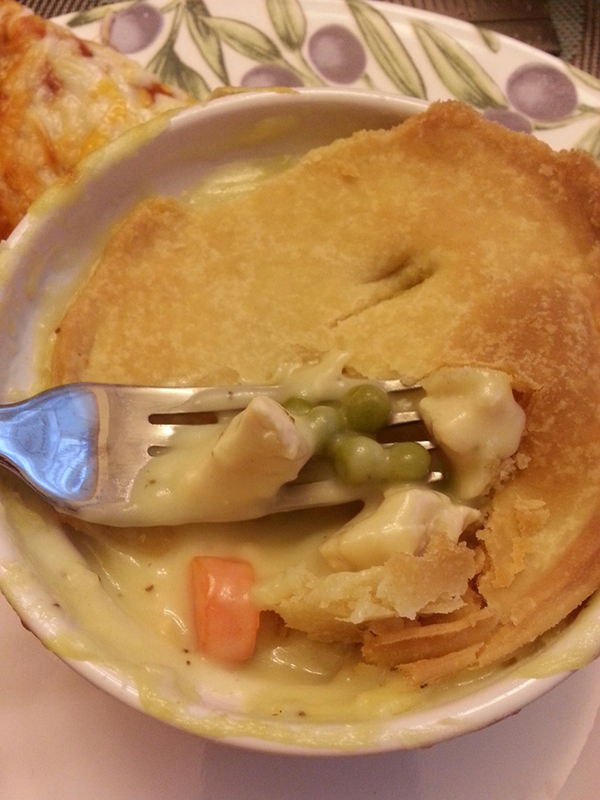 I also used the pie crust on just the top to save calories and again, no problem! *Onion can flare some patients, so please know if you can use it first. In the saucepan over medium heat, cook onions in butter until soft and translucent. Stir in flour, salt, and celery seed. Slowly stir in chicken broth and milk. Simmer over medium-low heat until thick. Remove from heat and set aside. This is my second quiche and I am really getting the hang of it. I made the mistake, possibly, of putting this quiche in the tart pan. The problem was that once I par-baked the quiche crust I realized the ingredients most likely would not fit. So then I transferred it to the glass pie plate, my favorite container for a quiche. I must say though, the tart pan gives the quiche a cool fluted edge. Anyway, I didn’t have feta so I used all my leftover cheeses (no waste! ): shredded Swiss cheese and Land O’ Lakes 4-Cheese sliced cheese blend. As usual, I used garlic powder not the raw. YUM! Two hours before you want to make the quiche, take the dough out of the freezer to defrost. (Or make your own like I did). Lay the dough into either a 10″ quiche pan, making sure you have enough to form a crust around edge. Par-bake if you like. Crumble the feta onto the bottom of the crust. Pour the oil into a pan and, when heated, throw in spinach and cook until wilted (Less than five minutes). Spread the spinach over the feta cheese. Beat eggs, garlic, and creme fraiche together. Pour over the top of the cheese and spinach. 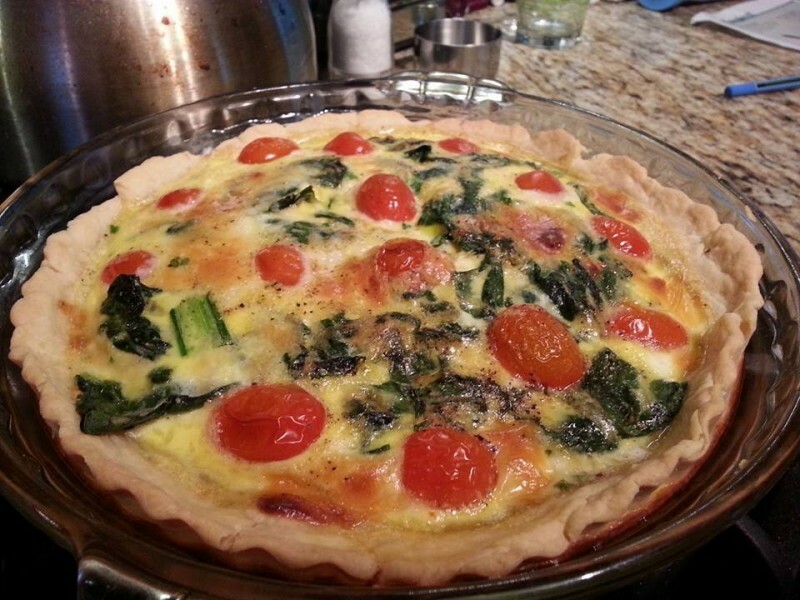 Place cut cherry tomatoes over the top of the quiche. Sprinkle chives and ground pepper on top. 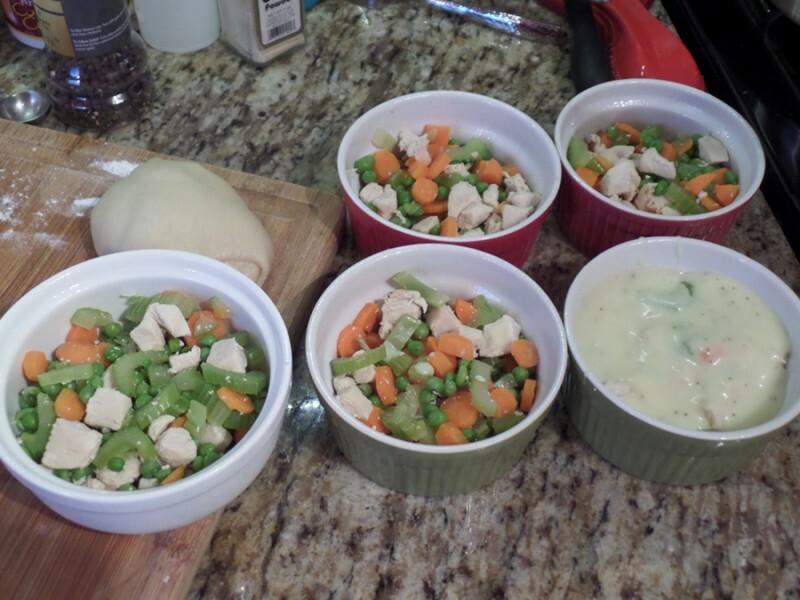 I’m always trying to make more foods my son loves from the can or box into homemade creations. He LOVES Spaghettio’s. We thought our creation tasted dead on but His Highness, the pickiest child on Earth, thought otherwise. Haha. I’m sharing because I think most kids would like this! I used Alphabet pasta. Anyway, I’d make it again because I have a weird fascination with the taste of Spaghettio’s, I’d just cut the recipe in half. It states it makes four servings, I’d say more like eight! Enjoy! TIP: I freeze the remainder of my tomato paste in a small plastic container and take it out as needed, no waste! 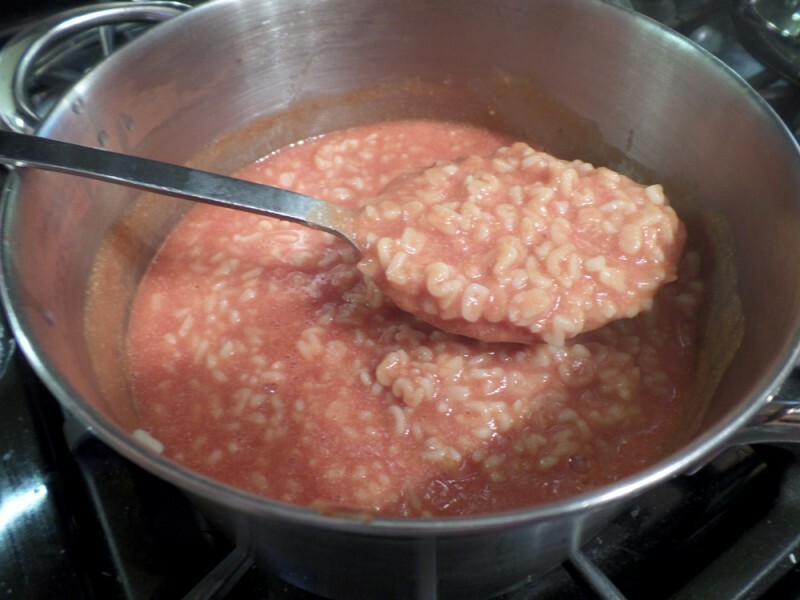 Add tomato sauce and paste to a medium saucepan and cook over medium heat until heated through. Reduce heat to a low simmer and slowly whisk in milk and cheese. (If you listen to Julia Child, she would always say TURN OFF the burner when adding dairy to prevent curdling! and that’s what I do too). Cook stirring occasionally until cheese is dissolved. Stir in cooked pasta rings and toss to coat. Season with salt to taste. *To avoid milk curdling, use at least 2% or whole milk and reduce heat, or turn off, when adding milk. Don’t dump the milk in all at once, slowly pour it in and stir. 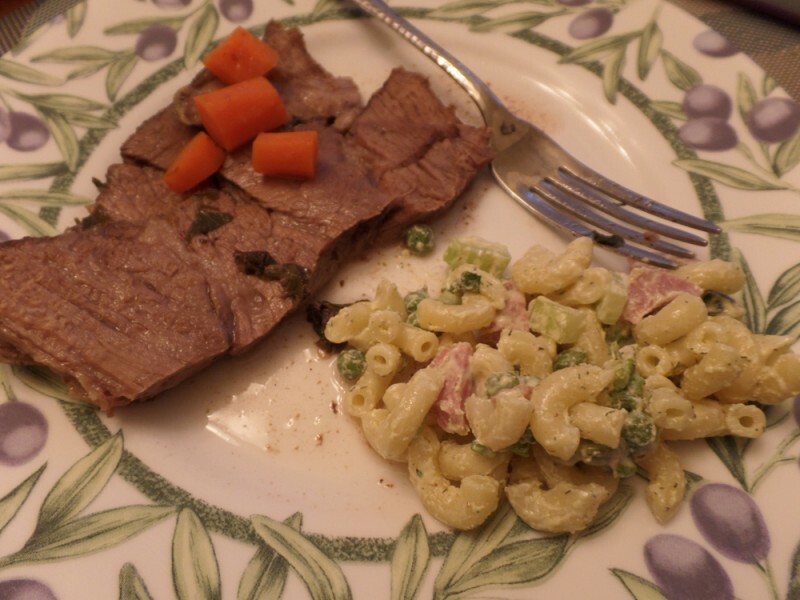 My husband’s never had macaroni salad because it has mayo so this was his first try! It was very nice for everyone! It makes a LOT, more than the 4-6 serving as stated, so I’d say more like 10-12 servings! You can always halve it. As usual, I substituted onion powder for the onion. Also, the Dijon is powerful so I would only add a teaspoon and try that first. Next time I may try prepared yellow mustard instead, but if you’re not a mustard fan, omit it completely! Please use fresh dill, not dried, for maximum flavor. I used already cooked cubed ham for maximum ease. Enjoy! *I got this recipe from Food Network’s “Get Grilling” book, (c) 2005. 3/4 cup frozen baby peas (or petite peas), thawed, about 4 oz. If using raw onion, to mellow the minced onion, soak it in cold water while you make the salad. Bring a large pot of cold water to a boil over high heat and salt it generously. Add macaroni and boil, stirring occasionally, until al dente about 8 minutes. Drain in a colander, put in serving bowl. Toss pasta with the milk. Allow to cool slightly while you make the dressing. For the dressing: Whisk the vinegar, mustard (optional), the 2 tsp. salt, and black pepper to taste in a large bowl. Gradually whisk in the olive oil, starting with a few drops and then adding the rest in a steady stream to make a smooth, slightly thick dressing. Whisk in the sour cream. 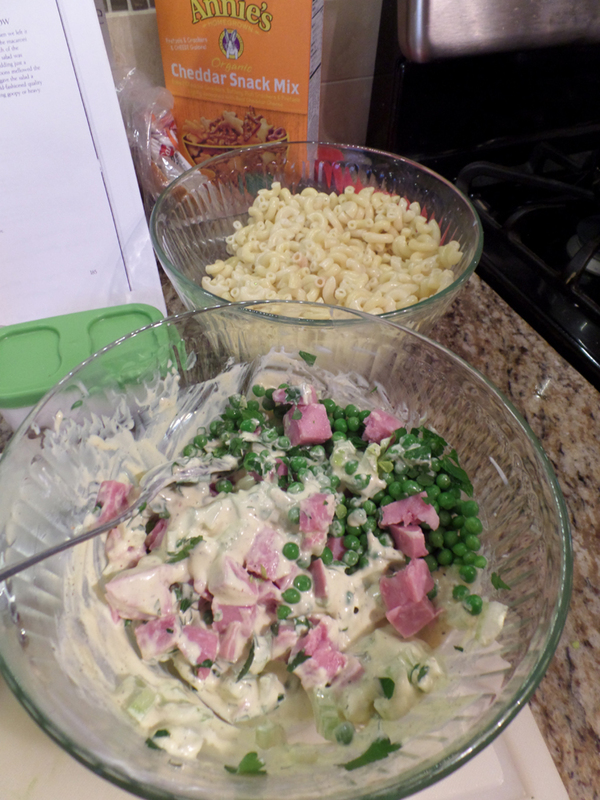 Drain the onions, if using, pat dry, and add to the macaroni along with the ham, peas, celery, and dill. Add the dressing and fold to coat the pasta evenly. Serve immediately or cover and refrigerate until ready to serve. I made these as a way to give my growing boy some needed calories but in a tasty way. I learned a few things by making it so I know what to do better next time. First, I am glad I made a half batch, it made 25! Secondly, I tried reducing the honey but it needed all of it to bind together. Thirdly, I will reduce the chocolate chips next time because it definitely was in the ‘dessert’ category more than I liked. As written, I’m placing this in the dessert category. But if the chocolate chips were reduced, I’d place it in the Snacks section. So halving the chocolate chips to 1/4 cup (for a half batch) would be fine. I didn’t use the shredded coconut because a) I didn’t have it and b) I don’t have many fans here. I used ground flax seed, cashews, peanuts, creamy peanut butter, raisins, and everything seen in the photo. I got this recipe from the Washington Post. I would definitely try this next time in the food processor for ease! Enjoy! 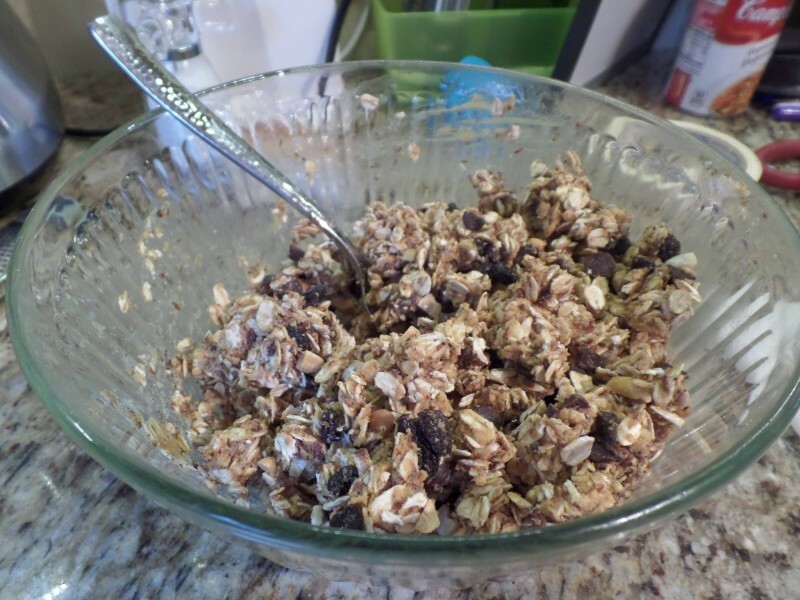 Gradually add the oats and chia seed or flax seed. 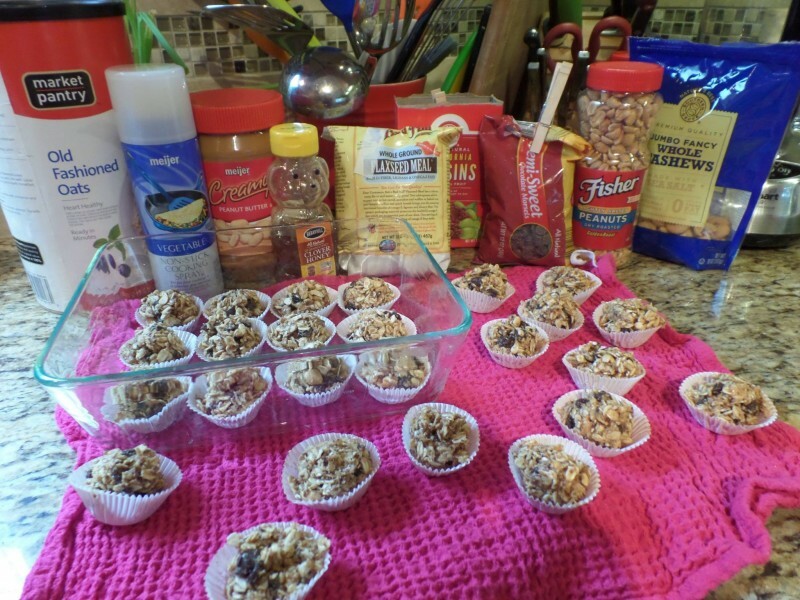 Add the cacao nibs or chocolate chips and the nut-seed-fruit mixture, and mix gently to combine. Use your hands to roll the mixture into balls (I used a cookie scoop) approximately the size of ping-pong balls. If desired, roll them in shredded coconut. Place the balls in paper mini-muffin cups. At this point, you can eat them, but they’ll be less sticky after a night in the refrigerator. They taste best after one day in the fridge. Layer the balls in an airtight container, using wax paper to separate the layers, and refrigerate for 7 to 10 days or freeze for up to 3 months. This is an excellent quiche recipe. I made my own crust in the processor and it was excellent, easy, and perfect! I accidentally set the temp. wrong but it turned out fine and I froze the remainder slices individually and successfully (first in saran wrap and then in a freezer bag). Defrost in your microwave or at room temp. and it comes back perfectly. 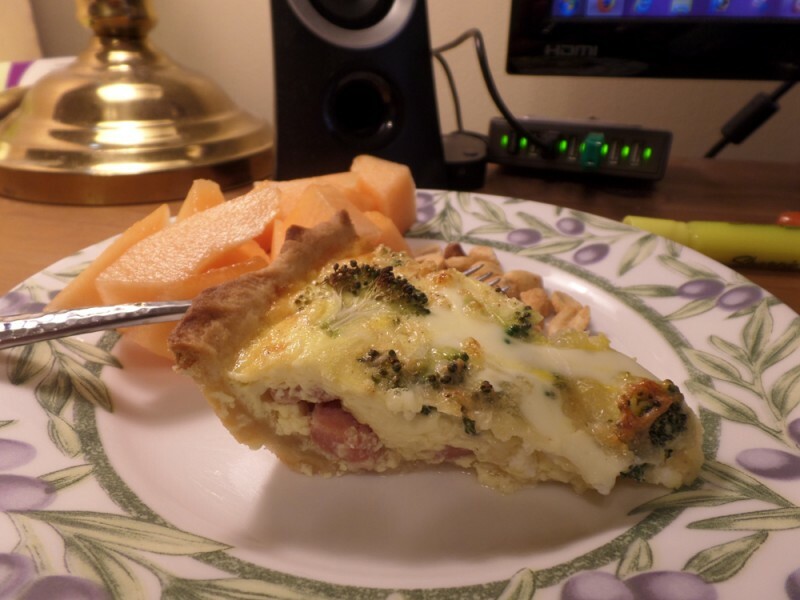 I made the quiche crust in the food processor with the recipe below in the link. It was A+. Great flavor! 1 refrigerated pie crust, softened as directed on box or make your own quiche crust, recipe here. 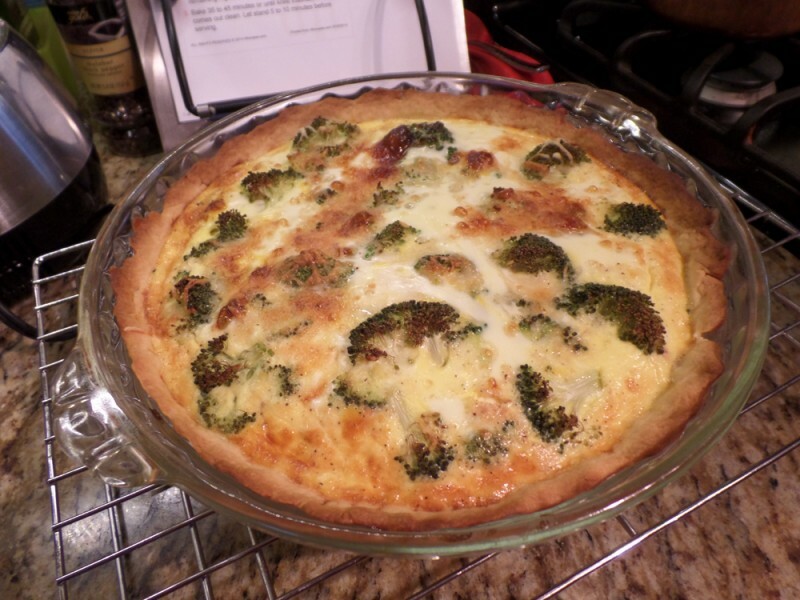 Defrost your pie crust according to the box, or make the quiche crust recipe in the link. I did not pre-bake the quiche crust before putting my ingredients in. Heat oven to 375° and place pie crust in 9″ glass pie pan. Layer ham, cheese, and broccoli in crust-lined pan. In medium bowl, beat eggs and milk with fork or whisk. Stir in remaining ingredients, pour mixture over broccoli. Bake 35-45 minutes or until knife inserted in center comes out clean.